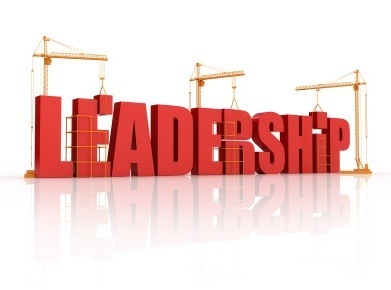 10 Leadership Lessons I Wish I Learned In My 20’s | Go, Leader, Grow! We spend a lot of time wondering what is happening over there in the organization. “What are they doing over there? What is that group doing? Wait, why did they get that project? ” At best this is wasted energy, and at worst a real distraction that keeps you from being fabulous you. It wasn’t until my mid 30s that someone close to me gave me this advice. Their message was surprisingly simple: run like no one else matters. Obviously, this doesn’t mean be an isolationist and it doesn’t mean you don’t work with other people, but if you see yourself wondering what someone else is doing and it isn’t something you can directly incorporate into making you better, it is wasted energy – pure and simple. Put your blinders on and focus straight ahead – all of that other stuff wont matter. Contrary to Hollywood screenwriters and every movie Michael Douglass has ever been in, business is personal. Telling yourself anything different may be a necessary rationalization to help you sleep at night, but the sooner you admit it, the quicker you can learn to lead. Every decision you make to “buy” or “not buy” has another person on the other end of that sale that impacts them directly. Knowing this is personal should not stop you from doing what is right for the business and the hardest decisions I have had to make have been about whether to hire or fire people. I have had the privilege of hiring someone (who had been out of work for awhile) on Christmas Eve and of making tough decisions to let folks go. The faster you can get used to personal, the quicker you can learn how to properly react to your business decisions and garner the respect of your ecosystem. Always have someone as your coach, your confidant, and your advisor. This can be formal or informal, but you need a “go-to” person at every stage of your life. This person may change and you may add mentors over time. I have been fortunate enough to have one mentor for 16 years, plus 3 others that have been added to my stable of advisors. I know who to call and when to call them – and they always take my call. But there is always someone better at something than you are. Find them. In case you were asking, “why would they help me?” it is because they get the better end of the deal. I see that now that I am fortunate enough to be a mentor several times over. One of my mentors told me how he would reach out to people he admired and ask them a few questions – their expert advice. Always done in a respectful way and mindful of their time, he was significantly more successful than not in getting some great counsel and often a new friendship or relationship with this person. And damn if he wasn’t right – it totally works. I have had a great interaction with a former US President, a Nobel Peace Prize winner, several noted authors, a few CEOs, and multiple significant business luminaries – all because I asked. Not everyone will respond, but that’s OK. In the future, I just wont sign my memoir for them when they ask. Don’t wait for the title to lead. Leadership is about helping the business succeed and helping those around you make that happen. Leadership is also about trust and those around you knowing you have their back. Too many young employees and managers feel like “When I get that title, I can really guide this place.” You should be thinking about how you can show leadership on your first day. If you know nothing else about what is going on, start to get to know people and what they are doing or working on, their background, and what makes them tick. Your influence starts with orientation. Good leaders don’t wait for titles. Everybody has someone who has power over him or her – no one is immune. For you proud, independent sorts – this one will be a challenge. Get used to doing things you don’t want to, don’t like doing, or aren’t in your comfort zone. Yes, you can quit or complain or stage a sit-in or whatever. But there is another big plate of it waiting at your next job. Oh, by the way, starting your own company and being your own boss doesn’t get you out of this – you have investors, partners, and customers who own you. So, get used to it, accept it, and grow your career so these times are fewer and farther in between. Or plan on winning the lottery and living alone on your own island, but then you are going to want satellite TV and now you are dealing with DirectTV and now you are right back to having to eat s**t – never mind. In your 20′s, you will have access to some of the greatest people who will eventually become life long friends. You cannot predict who these folks will be – some that I was sure would be with me for life have dropped out of sight, only to be replaced by some fantastic friends who I did not see coming. You will have a bigger network of friends and personal acquaintances at this age as you aren’t saddled with bigger responsibilities of life (kids and their schedules, aging parents, etc.). Meanwhile, your business network is in its infancy. Over time, your business network should grow, as you see your personal relationships grow smaller in numbers (fewer, but – hopefully – deeper relationship). Knowing this is coming can help you select your core friends and help you effectively grow your business network. This one didn’t make sense to me earlier in life. “Of course you get up,” was what my head said an age ago. ”Why wouldn’t you?” Over time, I have seen folks make a few mistakes, but find it harder to get back up the 4th or 5th time. Remember, this is a marathon so think long term. Keep getting up and stick it out, even when you want to just lie down on the mat for the 10- count. Those that keep getting up when life knocks them down will soon find that there are great leadership opportunities for those that are weathered by experience and keep showing up. Change is inevitable. New org structure, new boss, mergers, a constant terminal of folks coming in and out of your work life. Similar to “Run With Blinders On,” when you see some big new thing that you think is going to cause some disruption in your life, there is a tendency to want to react immediately to the situation. Don’t. Most of these are minor inconveniences – nuisances at worst. Take a breadth. I have learned – over time and “the hard way” – that if something is standing between my goals and me, I can wait them out. They move on, flame out, and sometimes become my advocate. Usually they just implode and you are in a greater place for sticking it out. Wait them out (or see “win the lottery, move to island” strategy above). There is an accompanying slideshow that is available for download here. Enjoy!